If you’re pregnant or thinking about becoming pregnant, you’ve probably heard a lot of talk about doulas. Though you might be familiar with birth doulas, postpartum doulas are less well-known but just as important. What does a postpartum doula do? Read on to find out more! What Is a Doula or Postpartum Doula? According to the DONA (Doulas of North America) International website, a doula is “a trained professional who provides continuous physical, emotional, and informational support to a mother before, during, and shortly after childbirth to help her achieve the healthiest, most satisfying experience possible.” A postpartum doula is somewhat similar, but is someone to help a new family adjust after a birth or adoption. A postpartum doula can do different things for each family, depending on what the family’s needs are. If the mother has given birth, a postpartum doula can aid with the physical recovery, especially if she’s had a Cesarean birth. She can also help with emotional recovery and any emotional adjustment to motherhood, answer any questions and provide education about newborn care, sibling adjustment, or breastfeeding issues. A postpartum doula typically also helps with light housework to ease the burden on the family, assists with newborn care like bathing, diapering, and soothing to sleep, and can also provide any necessary information and referrals to other professionals like lactation consultants, pediatricians, postpartum support groups, parenting classes, and anything else the parent might need. Some families need help overnight, and a postpartum doula can assist with night feedings and taking care of the baby at night. If you’re thinking this sounds like a nanny, you’re not alone. 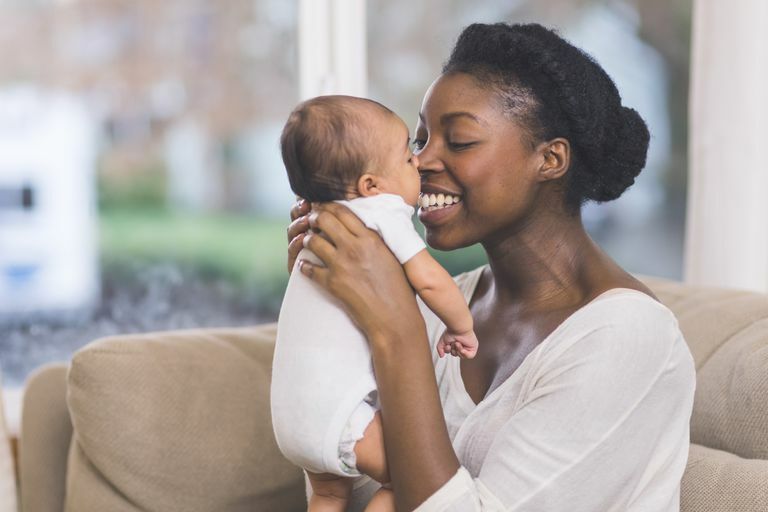 Many people mistakenly use the terms nanny and postpartum doula interchangeably, when the two are actually quite different. A nanny is usually used after the newborn and postpartum phase is over, and they focus more on the child and childcare; more of a helping hand, so that the mom (or dad) can get other things done. A postpartum doula focuses on the immediate postpartum phase and her focus is the mom, the new parents, and the parent/baby relationship. The postpartum doula facilitates recovery from birth and adjustment to parenthood, and makes sure the parents’ needs are met. If this involves taking care of the baby so the mother can get a shower, or taking care of the baby so the parents can sleep, so be it; but her main focus is the mother and/or the parents. She also helps with the practical work of housekeeping that new parents might have trouble with in those early days and weeks—especially if the birth was difficult or the mom is recovering from surgery. A postpartum doula helps provide parents with the knowledge and confidence to believe in their parenting abilities after she leaves. Birth doulas receive specialized training and certification, and postpartum doulas often receive specialized training and certification. Most major doula organizations have postpartum specializations that involve focused reading and education about newborns, childbirth recovery, breastfeeding, sibling care, and how to best care for mothers. Having a postpartum doula who is trained and certified by a reputable organization can help ease your mind that the doula has shown to meet certain standards and professional knowledge, and follows a certain code of conduct. If you decide to have a postpartum doula, it’s best to start your search while you’re still pregnant, at the start of your third trimester. You can ask your obstetrician or midwife for recommendations, ask fellow moms in your area or in any pregnancy Facebook or real-life group you might be in, or your childbirth class instructor for recommendations for postpartum doulas. There are also websites like doulamatch.net that you can explore. Some birth doulas are also postpartum doulas, so if you are having a doula for your birth, you can always inquire about whether she provides postpartum services. If not, she will likely be able to provide you with referrals of postpartum doulas. What Do Postpartum Doulas Cost? The cost of a postpartum doula can vary widely, depending on location, hours you need them, and their training. They often charge by the hour, and many have a set minimum of hours per session; i.e., you can’t just hire them for an hour or two. Some postpartum doulas or doula agencies have packages you can purchase, which often come with a discount of sorts, so it’s worth taking stock of how long you might need them for, what kind of services you’re envisioning, and what your budget is. If you’re operating on a tight budget, it’s worth considering registering for postpartum doula hours for your baby shower. You might also be able to use your health savings account (HSA) for it, but it’s best to call your insurance provider to see what they will cover or for what services you can use your account. While a postpartum doula isn’t necessary when you bring your baby home, they can certainly make life a lot easier. Talk with your health care provider about resources she knows of to find a postpartum doula, to see if this would be of benefit to you. Postpartum doula. American Pregnancy Association website. http://americanpregnancy.org/planning/post-partum-doula/ Updated March 21, 2017. What is a doula? DONA International website. https://www.dona.org/what-is-a-doula/ 2018.